ArcBest Corp. announced earnings in the third quarter rose 14%. Although it fell a penny short of the Bloomberg News consensus forecast, the results ended what was a fairly positive season for the less-than-truckload industry. The carrier, based in Fort Smith, Ark., generated $14.8 million in profits or 56 cents per share for the three-month period ending Sept. 30. The Bloomberg forecast called for $15.9 million or 57 cents. Nevertheless, it was the second consecutive quarter of year-over-year improvements after profits declined in each of the previous six quarters. Revenue increased 4.3% to $744.3 million against a forecast of $750.2 million. One year ago, ArcBest made $714 million in revenue and $13 million in profits or 49 cents per share. In the asset-based business, revenue increased 4.1% to $517.4 million and operating income jumped 20% to $21.8 million. Tonnage fell 5.2% to 788,228 and shipments fell 1.3% to 1.3 million, but revenue per 100 pounds of freight improved 6.6% to $32.53 and revenue per shipment grew 4.9% to $389.79. “In the midst of a solid LTL pricing environment, yield management actions implemented throughout 2017, including this quarter’s space-based pricing initiative, resulted in higher revenue per hundredweight and improved revenue per shipment,” the company noted. In the asset-light business, consisting of ArcBest and FleetNet, revenue climbed 12% to $235.3 million. Of that sum, ArcBest jumped 14% to $195.7 million and FleetNet edged up 1.3% to $39.6 million. The asset-light operating income surged 33% to $8.5 million, consisting of $7.6 million from ArcBest and $873,000 from FleetNet. The ArcBest division includes third-party logistics and freight brokerage while FleetNet performs emergency breakdown services, vehicle maintenance and towing. 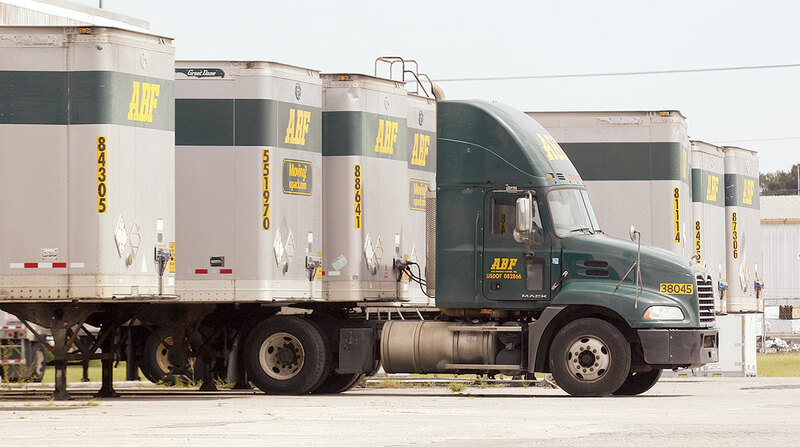 Within the ArcBest unit, which combines the former Panther Premium Logistics and ABF Logistics businesses, revenue per shipment improved 16% and shipments per day grew 1.2% for the expedited service. In truckload logistics, revenue per shipment and shipments per day both jumped 11% year-over-year. This concludes a strong third quarter in the less-than-truckload space, in which Old Dominion Freight Line Inc., Saia Inc., XPO Logistics and ArcBest increased profits from a year ago and YRC Worldwide was the sole carrier with weaker earnings. ArcBest ranks No. 12 on the Transport Topics Top 100 list of the largest for-hire carriers in North America. On the for-hire TT100, XPO ranks No. 3, YRC ranks No. 5, Old Dominon ranks No. 11 and Saia ranks No. 28.